In this groundbreaking adventure into the world of psychopaths, renowned psychologist Kevin Dutton reveals a shocking truth: beneath the hype and the popular characterisation, psychopaths have something to teach us. Psychopath. No sooner is the word out than images of murderers, rapists, suicide bombers and gangsters flash across our minds. But unlike their box-office counterparts, not all psychopaths are violent, or even criminal. Far from it. In fact, they have a lot of good things going for them. Psychopaths are fearless, confident, charismatic, ruthless and focused - qualities tailor-made for success in twenty-first-century society. 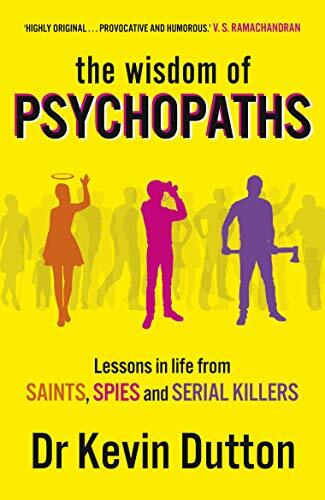 In this groundbreaking adventure into the world of psychopaths, renowned psychologist Kevin Dutton reveals a shocking truth: beneath the hype and the popular characterisation, psychopaths have something to teach us.